Niles Snow Removal provides a 24-hour snow and ice management in Niles, Michigan. As a professional snow removal company, we have a wide variety of snow removal equipment to offer our services. This is important because each site has different requirements and the wide range of equipment enables us to reduce the likelihood of damaging your property. For instance, there is a high chance of causing damage when large equipment are used e.g. we use snow blowers to plow small commercial driveways and parking lots instead of larger equipment such as skid steer loaders or ATVs to reduce the risk of damage to your property. In addition, we use plastic shovels instead of metallic ones to avoid damaging plantings and the turf found near hard surfaces. You can contact us at any given time to know the ideal snow and ice management plan to use. 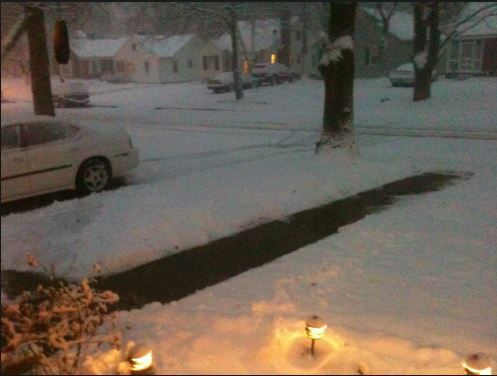 We have been offering residential snow removal in Niles, Michigan for a long period of time. Therefore, our workers have the necessary skills, knowledge and experience required for snow removal i.e. our staff are certified snow professionals who know what is expected of them. To further equip our workers, the staff goes through a snow removal and ice control training throughout the year so that they can provide services that exceed your expectations. To further guarantee your safety, we use de-icing products on any surface. However, this service is provided at an extra cost to the snow removal either automatically or on request. In most cases, we use treated salt on driveways and sidewalks because it gives the best results. Normally, we use Professional Ice Melter which is made up of sodium chloride, magnesium chloride, calcium magnesium and calcium chloride. Since we are a professional residential snow removal company, we adhere to all the rules and regulations in the methods and the products we use. As a result, we can provide you with MSDS (Material Safety Data Sheet) on the products we use throughout the year. Professional Ice Melter is ideal when treating lead up walks to houses, stamped and colored concrete driveways and sidewalks because when salt is used, it can damage the carpet, floors etc. Why should you hire us?There are plenty of reasons why you should consider hiring our services. Here are some of those reasons:• Besides having affordable rates, we have good payment plans• We offer black ice services, therefore, you don’t have to worry about thawing or re-freezing• You will have a peace of mind knowing that you’ve hired a professional company whose staff have a liability insurance, they are trained and have high levels of expertise• If you would like, we will keep you in the loop of our email communication. This is important because you will learn more about our snow removal plans, the services we are offering at different times, whether we have any discounts/offers etc.• Your porch, stoop, entryways and sidewalks will be attended to by professionals• To minimize turf damage, your property will be staked beforehand• We rely on the latest technology to track the storm and remove snow. In addition, we use professional equipment and tools when removing snow from your property. It is evident that we offer professional snow removal services in residential places. If you would like to learn more about us, get a quotation or ask questions, don’t hesitate to contact us at any given time or get a copy of our snow plough magazine to learn more about our services.